Today is the last day of 2013. It's just a few hours to go before 2014. This year, I was able to visit new places and revisit other places too. Here are these places I've been to this year. My first visit here was in January 26 for the first meetup of GDG Halsema. It was a twelve-hour bus ride but we were able to see the Banaue Rice Terraces from the bus. The meetup was held in Mountain Province State Polytechnic College. We weren't able to explore much of the place except for the Rizal monument and a nearby church because we already went to Baguio the afternoon after the meetup. We went back to Bontoc on April 13 for Celine's Google Apps Training for the Department of Education Mountain Province Division Office. We stayed in Archog Hotel & Restaurant. The food there, especially the vegetables were fresh and delicious! After the GDG Halsema meetup last January 26, we rode a six-hour bus going to Baguio. It was my first time to be there too. We had dinner at Good Taste Cafe & Restaurant then hailed a cab to Hotel Elizabeth. The day after, we went to Good Shepherd Convent, Mines View Park (where I tried the strawberry taho), Mansion House, Wright Park, and Baguio Museum. We had lunch at O' Mai Khan before going to the bus terminal to go back to Manila. On our way to Bontoc for Celine's Google Apps Training there, we opted for Manila-Baguio and Baguio-Bontoc bus rides. We arrived in Baguio early morning of April 12 and had breakfast at Cafe by the Ruins before going to the GL Lizardo Terminal to ride a bus going to Bontoc. We went back to Baguio on March 2 for Celine's Google Apps for Edu Training at Berkeley School Baguio. This time, we checked in at Azalea Residences. After the event, we bought food at 50s Diner for dinner. The next day, we had lunch with Reymart of GDG Baguio and Vince of GBG Baguio at Cafe by the Ruins. We also tried dimsum at Central Park Restaurant before going back to Manila. On August 2-4, we were back in Baguio for GBG Baguio's Women 3.0 event (August 3). We had dinner at O Mai Khan and desserts at PNKY Cafe. After the event, we had dinner at Green Pepper in Ketchup Food Community. On our last day, we went to Good Shepherd. Vince toured us around the Cemetery of Negativism, Bell Amphitheather, and the Bell House.We had lunch at Canto in Ketchup Community before going back. Our last visit to Baguio for the year was during the GDG DevFest Cordillera-Baguio and gDayX North Luzon on November 9. Celine and I arrived in the afternoon of November 8. Celine treated me to lunch at Solibao (Session Road) and we visited the Baguio Cathedral and Botanical Garden. Celine and I went to Cebu last February 22 for the Google Apps Training at Center for Excellence in Cebu Normal University. After the event, we met with Jerome and had dinner at The Original AA BBQ. The next day, we met with Kreigh for lunch at Hang Guk Kwan Korean Resto. We also dropped by at CebuInIT in University of the Philippines for the Google Maps API and Google+ Seminar-Workshop. We also went to Fort San Pedro, Magellan's Cross, and Basilica del Santo Niño. We went back to Cebu on April 19-21 for the Google Apps for Edu training in University of San Jose-Recoletos Basak Campus (April 20). After the event, we had ramen and gyoza dinner at Kamekichi Ramen Noodle House, and desserts at CMYK Dessert House. The next day, we attended the 10:00 AM Cebuano mass, had lunch at Sunburst Ayala Center Cebu, and had desserts at the Dessert Factory before going to the airport. From May 17 to 19, Celine and I, along with her high school best friends Deci and Lik, went to Ilocos for a weekend tour. 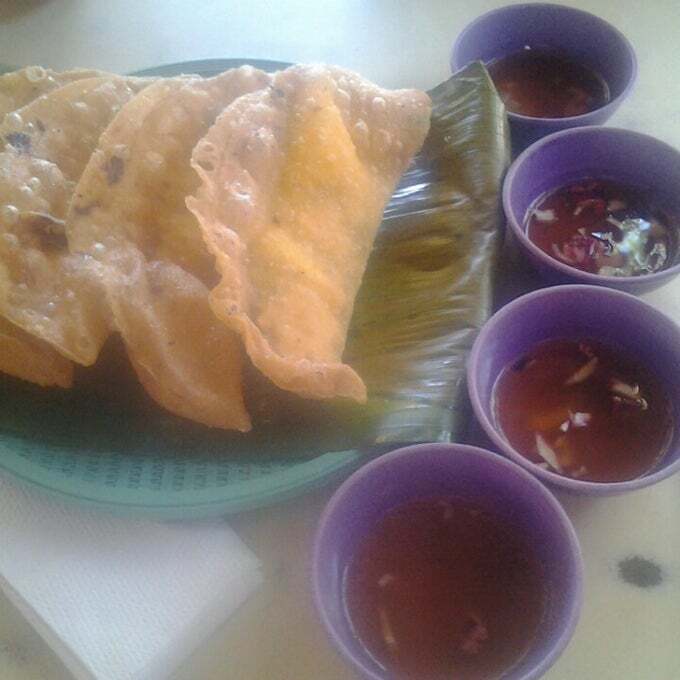 We were able to try the authentic Vigan empanada, Vigan Longganisa, Pinakbet Pizza and Poque-Poque (an Ilocano eggplant dish) Pizza. In Ilocos Sur, we visited Calle Crisologo (Vigan), Shrine of Nuestra Señora de la Caridad/St. Augustine Parish (Bantay), and Baluarte (Ilocos Sur). We visited more places in Ilocos Norte: Marcos Museum and Mausoleum (Batac), Paoay Church (Paoay), Malacanang of the North (Paoay), Museo Ilocos Norte (Laoag), Tobacco Monopoly Monument (Laoag), Sinking Bell Tower (Laoag), Cape Bojeador Lighthouse (Burgos), Kapurpurawan Rock Formation (Burgos), Bangui Windmill (Bangui), Kabigan Waterfall (Pagudpud), Patapat Viaduct (Pagudpud), Bantay Abot Cave (Pagudpud), Blue Lagoon (Pagudpud), and Paoay Sand Dunes. Celine and I went to Ozamiz last May 24-26 for a two-day Google Apps training for La Salle University Ozamiz. The first day of training was for the faculty. 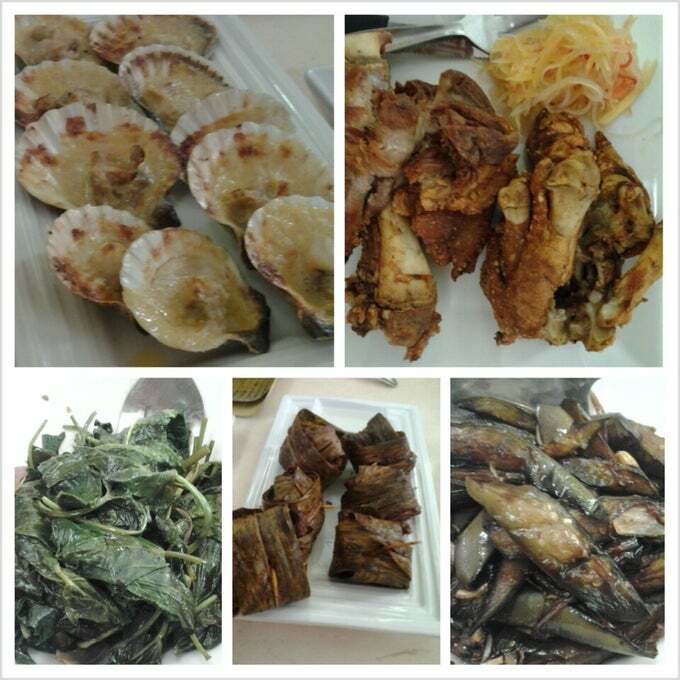 At lunch time, we went to Royal Garden Hotel to check-in and eat at Hukad Sa Golden Cowrie. After the afternoon session, we went back to the hotel, visited the Immaculate Concepcion Cathedral, had early dinner at the nearby Mooon Cafe, bought water at the Shoppers Plaza, and had cake slices at The Coffee Lounge. The next day, we had breakfast in Jollinee then went back to the campus for the second day of training (non-teaching staff). We had lunch at Big J Grill House. We had dinner with Jerome,Miss Leslyn and Sir Harold at Hukad Sa Golden Cowrie and cakes at The Coffee Lounge. Celine and I went to CDO last July 27-28 to join the 6th Monthsary Meetup of GDG CDO. 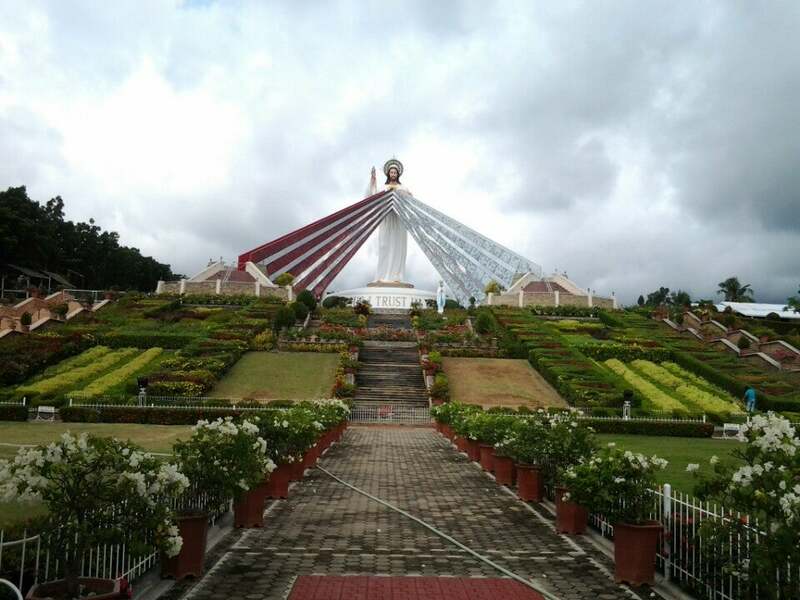 Paul, our former officemate, picked us up at the airport and suggested we go to the Divine Mercy Archdiocesan Shrine. We had breakfast at Panagatan Seafoods Restaurant before checking in at Mallberry Suites Business Hotel. We walked to Mindanao University of Science and Technology for the meetup. After the event, we had dinner at Thai Me Up. We also went to Vjandep Bakeshop to buy pastel. Celine, Wayne and I were invited to be one of the speakers for the Bicol Youth for Technology Exposure (BYTE) 2013. The event is on October 19 at Capitol Convention Center (Pili, Camarines Sur) but Celine and I went to Legazpi City on October 18 first to see Mount Mayon. We went to Lignon Hill and Cagsawa Ruins. We also went to Daraga Church (Our Lady of the Gate Parish) before going to the city proper. We went to the St. Gregory the Great Cathedral for a few minutes before having lunch at Red Continent Diner & Cafe. We had pinangat, bicol express, tinapa rice, and chili ice cream (ube flavor). Afterwards, we rode a tricycle to the Naga-bound van's terminal. We arrived in Naga and checked in at Naga Regent Hotel. We met up with Wayne there. On our way to Casa Moderna to meet up with Miss Aileen, we walked to Plaza Quince Martires before hailing a tricycle. The palabaok, mama, toasted siopao and pancit were all delicious! Afterwards, we went to SM Naga and had dinner at Bigg's Diner. The next day, we had breakfast at the Oyster Villa before going to Capitol Convention Center, Pili, Camarines Sur for the Bicol Youth for Technology Exposure (BYTE) 2013. During lunch, we went to Camarines Sur Watersports Complex. After the event, we had dinner with the organizers at Red Platter. The next day, we explored a bit of Naga City. We walked to the Rizal Park, Monument of Bishop Jorge Barlin, Metropolitan Naga Cathedral, and Our Lady of Penafrancia Basilica of Naga. We went to Zamboanga last December 13, 2013 for the first GDG DevFest Zamboanga. 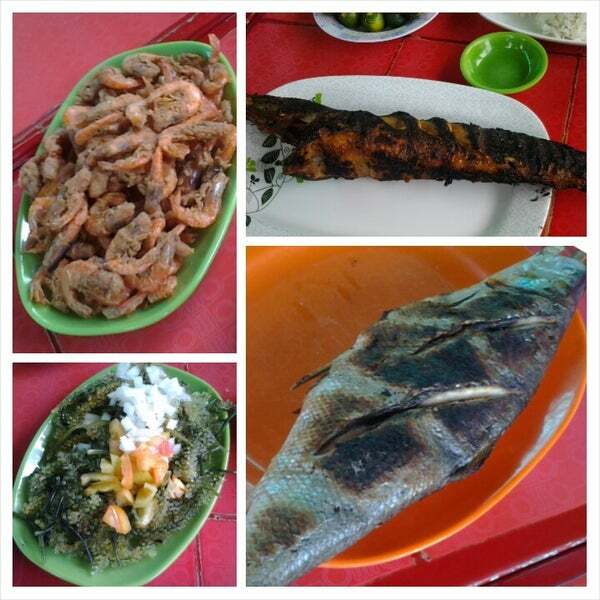 We went straight to Alavar's Seafood Restaurant for lunch. Afterwards, we went to Centro Latino, Paseo Del Mar for the event. Before going to the airport, we had dinner in the nearby Distrito. We had our last event and last travel last December 26-28, 2013 in Pangasinan. We checked in at Bangsal Suites, and had lunch in Rudy & Jing Seafood Restaurant before going to Malong Conference Room in the Capitol Complex, Lingayen for the Google Code-in meetup organized by GBG Pangasinan and GBG Dagupan. fter the event, Celine, Reymart and I went near the capitol building and walked to the beach area. JR toured us inside the capitol before we go back to the Malong Building. The next day, we toured Bolinao, Alaminos. We had lunch at Adora's Restaurant then visited the St. James the Great Parish. We went to the Enchanted Cave and the Cape Bolinao Lighthouse before checking in at Punta Riviera. The next day, we went back to the town proper and market, had lunch at Bolinao London Grill & Cafe, and went to the bus terminal to return to Manila. Aside from these travels, I was also fortunate to travel to two places outside the country: Yogyakarta, Indonesia and Kota Kinabalu, Sabah, Malaysia. We were invited to attend the Search Summit 2013 in Hyatt Regency Yogyakarta in Indonesia from June 20 to 22. We arrived around lunch time. We checked in immediately, took a bath and changed into our national costumes. The summit lasted for three days. On the afternoon on the last day of the summit, the GDG SEA leads with Chelle, Uttam and Van went to Borobodur Temple. We then went to Ikan Bakar Jimbaran for Balinese dinner. The next day, Reymart's friends, Bella and Titis, toured us around. We went to Universitas Gadjah Mada and Taman Sari Water Palace, had lunch at House of Raminten. Our last stop was in Malioboro, a shopping street. +Celine, Mama +Chelle, +Wayne, Mitch, +Svetlana and I went to Kota Kinabalu last November 16-18 to help GDG Kota Kinabalu in their first GDG DevFest. +Lorna picked us up from the airport and brought us to King Park Hotel. The morning after, we had breakfast at King Park Cafe and walked to Wisma Bandaraya for the DevFest. After Mitch's talk, she, Svet, Loretta and I walked to Centre Point Sabah to exchange money to Ringgit (and for me to buy an adapter and a local sim for mobile data). After the event, Mama Chelle, Wayne, Mitch, Svet, Marcus, Loretta, Marc, Celine and I had dinner at Welcome Seafood Restaurant. We also went to Centre Point Sabah to buy some things, Pasar Malam Sinsuran to buy keychains and other stuff, and Secret Recipe to eat some cakes. The next day, we had breakfast again at King Park Cafe then went to Gaya Street Market, had lunch at Kedai Kopi Melanian 3, bought bread at Butterfly Bakery and food at KFC, then visited Wayne at Queen Elizabeth Hospital. We also went to Le Meridien Kota Kinabalu (where Mama Chelle is checked in) and swam in the pool. We bought food at KFC to try their curry crunch chicken. On our last day, we had lunch at Seng Hing Coffee Shop, went to Prince Phillip Park and to the beach at The Waterfront Kota Kinabalu, had dinner at Toscani's Italian Restaurant, bought pasalubong at Pasar Buah Buahan Tempatan, and went to the airport. I am hoping I can travel to more places next year.